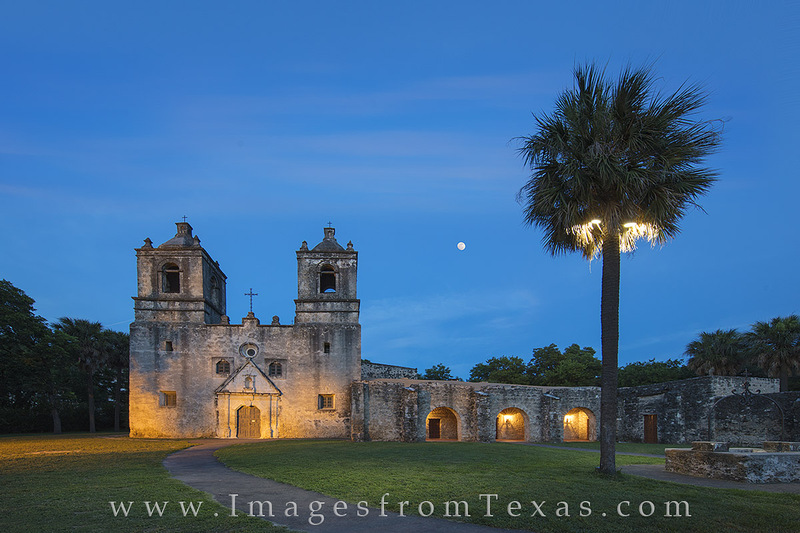 After sunset, a full moon rises over Mission Concepcion, the best preserved of San Antonio's missions. Built in the 1700s, this stone church and fort still offers mass each Sunday. Photo © copyright by Rob Greebon.